Practice began Friday for the 2016 TCU Baseball Horned Frogs, and numerous fans were expecting the Four Riders of Rebirth (the lesser-known kin of Pestilence, Death and the others) to take the field with them. After all, hope, promise and optimism annually return to the lives of sports fans when baseball resumes. If nothing else, the weather that greeted pre-season All-American Mitchell Traver and Head Coach Jim Schlossnagleâ€™s 15 returning letterwinners was pleasant. It was spring-like, actually, replete with wind and sun, which should help the 18 new Horned Frog players get adjusted to Lupton life. 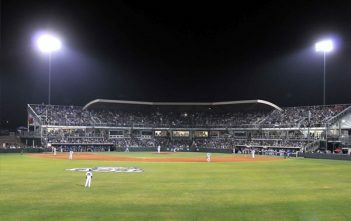 Nothing will be as it was, however, in the ever-changing TCU Baseball Field of Dreams. Horned Frog fans and supporters first answered the call to come if TCU built Lupton some 14 years ago. The stadium, along with the expectations for the team, has continued to grow. New locker rooms and a new team room, along with training facilities and coachesâ€™ offices overlooking the field will all greet fans who roll in to Lupton Stadium this season. Among the areas included in the $7.5 million in upgrades will be expanded seating behind the right field wall. The hill abutting Bellaire Drive has been repurposed for fans and their legroom needs. Only those who enjoyed sitting in jasmine will be disappointed. Blankets and chairs can be brought to the area, as well as an old Catfish Hunter or Ken Griffey Jr. glove to catch a home run or two. TCU Baseball will return in less than a couple of short weeks, actually, as the Alumni Game will take place February 13 at 1 pm. The opening series against Loyola Marymount on February 19 at 6 pm, and will open the season officially. On the line will be a third straight Big 12 Championship and a third straight trip to the College World Series. These are the routine expectations Schlossnagle intended to deliver when he came to TCU in 2003. Seemingly lofty at the time, the multi-Coach of the Year honoree has continued to build TCU Baseball into the program he envisioned 13 years ago. â€œAs our program has had success and grown, the school has grown with it,â€ Schlossnagle said in an interview about the stadium renovations. He gave credit to leadership at TCU and the donors who have been generous in their support of building a top national program. In any number of polls this season, Schlossnagleâ€™s Horned Frogs will begin ranked as high as 11th in the USA Today Coaches Poll, No. 15 in the Collegiate Baseball Poll and 18th and 19th in others. 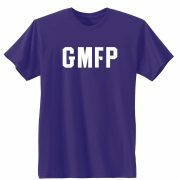 Of course credit is also due to the head coach, who has set the standards for his players, the fans, the administration and the businesses in Omaha hoping to see Horned Frog fans return for a fourth time in seven years.